The village of Cullen is located in North Cork in the famous Sliabh Luachra area, a region renowned for its people, music and lore. 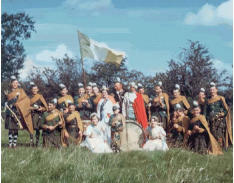 The Cullen Pipe Band was founded in 1941 and the present day band continues the great musical tradition that has been part and parcel of this unique part of Ireland. 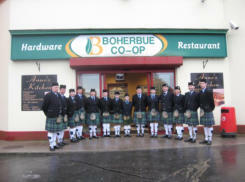 The band has played a major role in the life of the local community because at one time or another almost every house in the parish had a member involved. 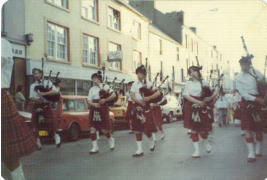 Tuition of young pipers and drummers continues on a weekly basis to maintain our present high standard. Our pipers & drummers have distinguished themselves in both band and solo contests, and have been invited abroad to play over the years. It is our wish to further this musical progression for many years to come We would also like to acknowledge the continued support of our sponsers and all our local supporters.